The wild plum trees in the woods are full of fruit right now. They are mini plums, just bigger than cherries, with a sweet and tangy finish. Every time I walk by one of the trees, I fill my pockets and pop them into my mouth, or save them to make salsa or put in cocktails! Even though it’s summer, we have been getting a lot of coastal fog. Pescadero beach is just over the mountain, about 20 minutes away, and before the trees grew so tall, they say you could see the ocean from here. The fog is one of the things that drew me to this place- the soft, overcast light makes it an ideal place to shoot food outdoors. 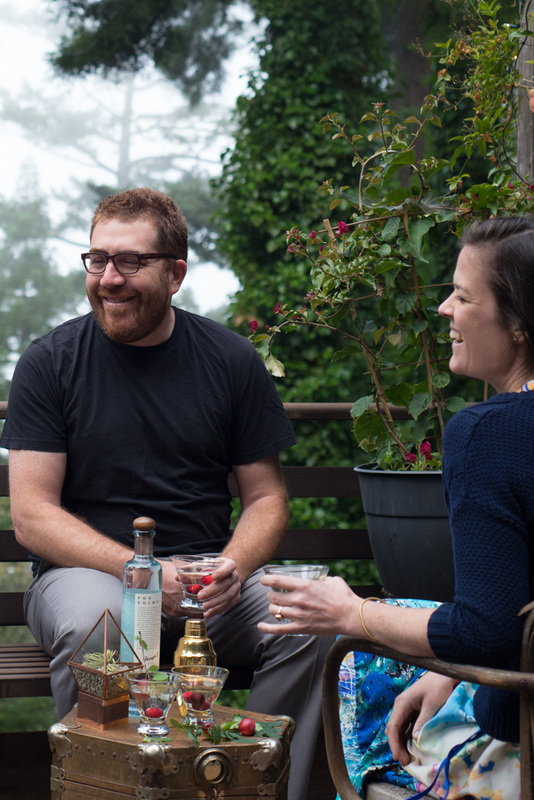 Fog is such a defining element of the Northern California landscape so it’s fitting that our local vodka distillery, Hangar 1 Vodka, is now using it to make a very unique spirit. They actually gather water from the fog to make their Fog Point Vodka (see a video of them doing it here, kind of amazing!) We have been in such a drought in California so it’s nice to see companies implementing creative ideas for water conservation. This Fog Point Vodka is very special so I didn’t want to add too much to it to take away from the natural flavor. I simply shook it with ice, poured it into a stemless martini glass and garnished with whole fresh plums. (If you can’t find small plums, you can just use cherries or grapes.) 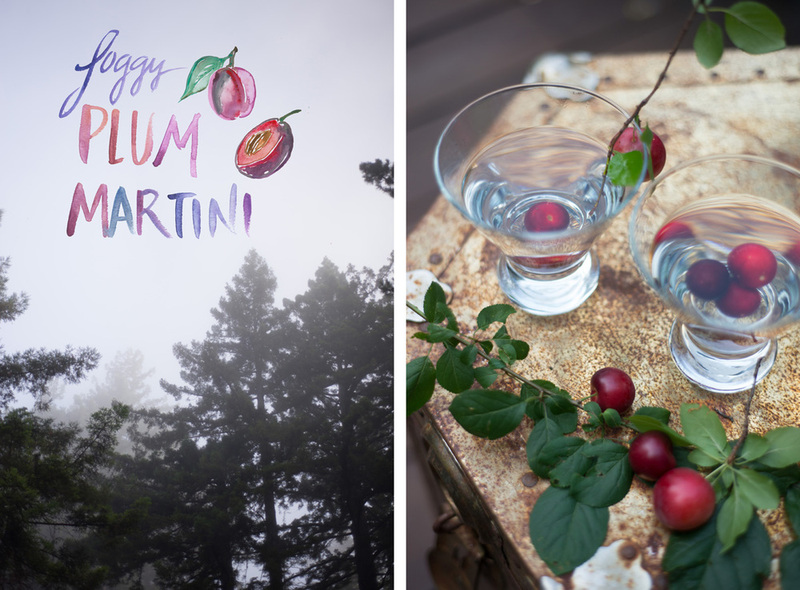 We served these Foggy Plum Martinis alongside some Plum Pico de Gallo and it’s a fantastic combo for an outdoor gathering. Cheers to summer! Combine Fog Point Vodka and ice in a martini shaker and shake well. Pour the vodka into a stemless martini glass and garnish with whole mini plums or cherries. Enjoy immediately! Dice the plums, tomatoes and red onion and toss with all other ingredients. 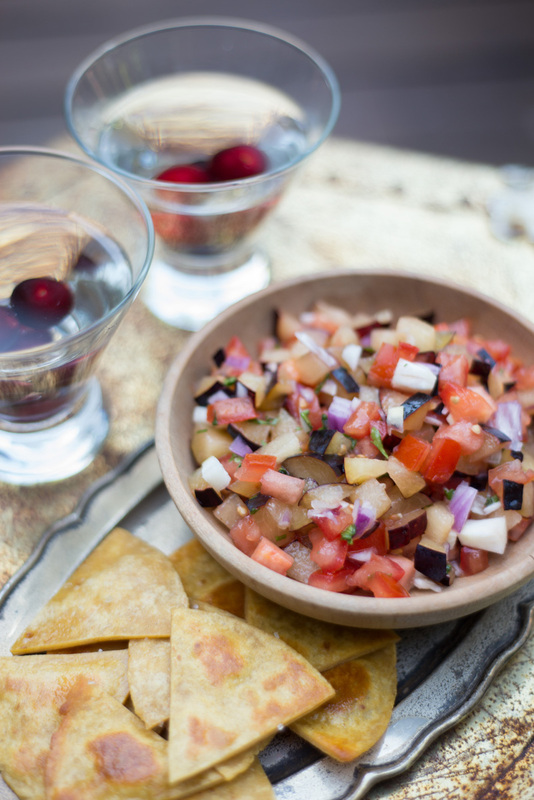 Serve alongside tortilla chips and a martini. This post was done in partnership with Hangar 1 Vodka, a local brand we love. Thank you for supporting the brands that make The Forest Feast possible.